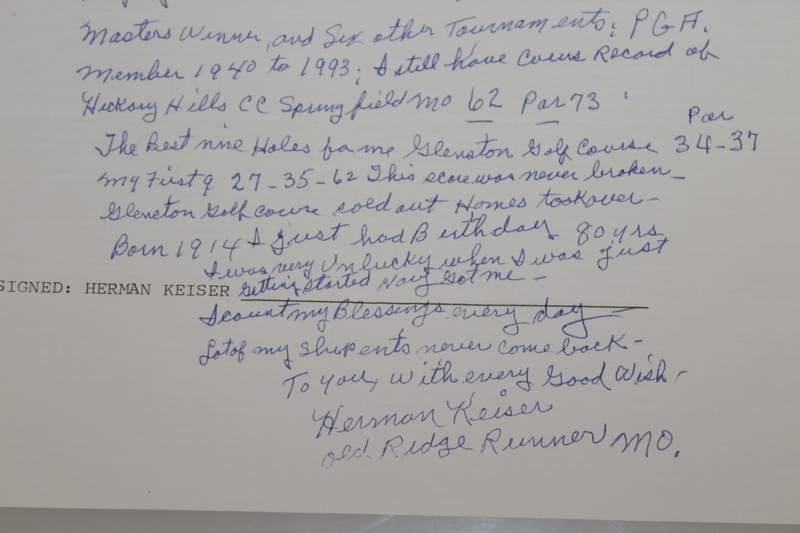 This letter contains significant content and covers many events that were important to ’46 Champion Herman Keiser as he looks back on his life at 80 years old. Keiser talks about his relationship with Horton Smith, Bing Crosby and when Uncle Sam called his name in 1942. 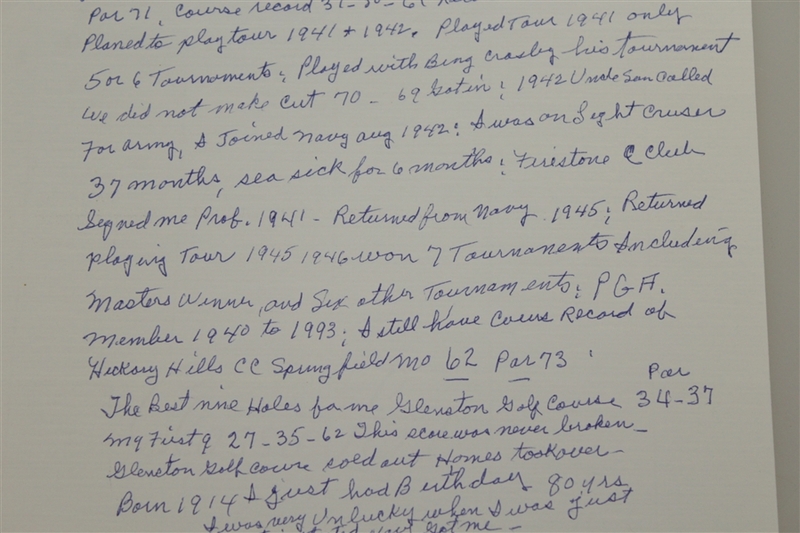 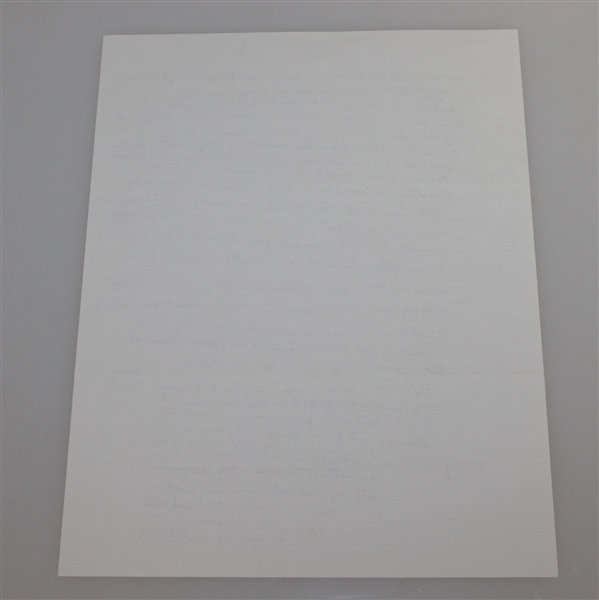 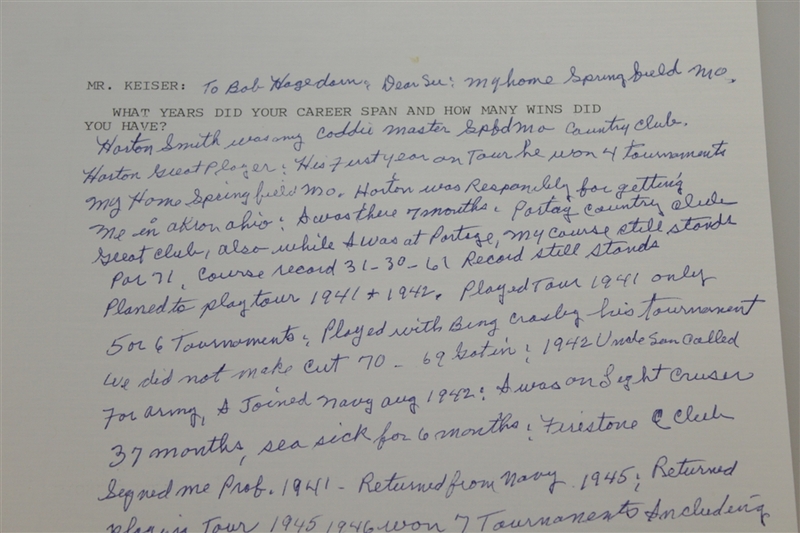 Standard page 8 1/2" x 11" handwritten response to fan's inquiry about Herman Keiser’s career length and victories. 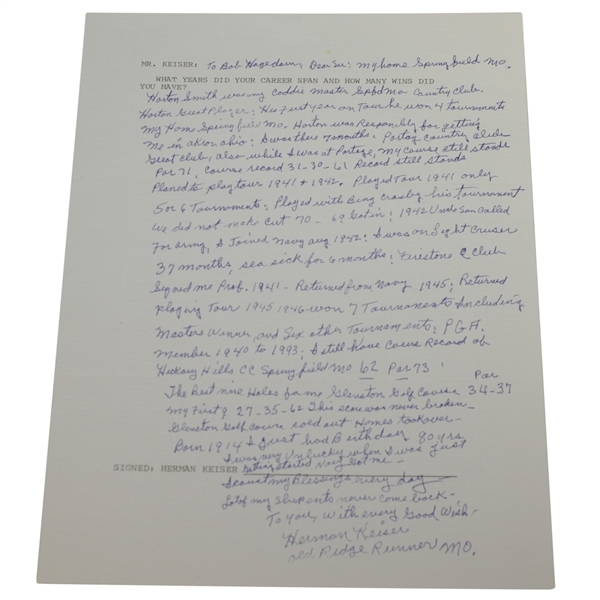 James Spence Authentication (JSA) has reviewed the signature and their auction letter of authenticity will come with this lot.